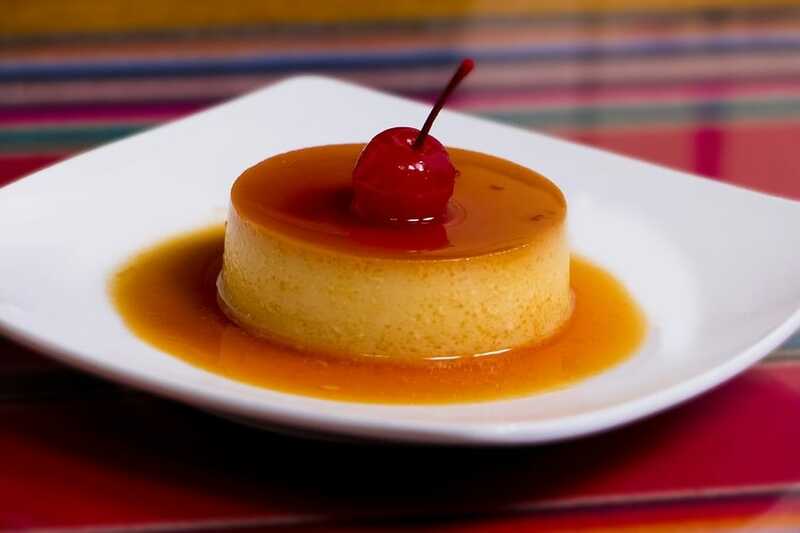 For most of the world, “flan” is a creamy, slightly wobbly custard dish which is baked in the oven. It’s a delicious dessert staple in countries such as Mexico, Puerto Rico and Spain. There are some flan variants which feature a pastry base filled with custard and often, fruit. To cook a perfect flan, you need the perfect pan. 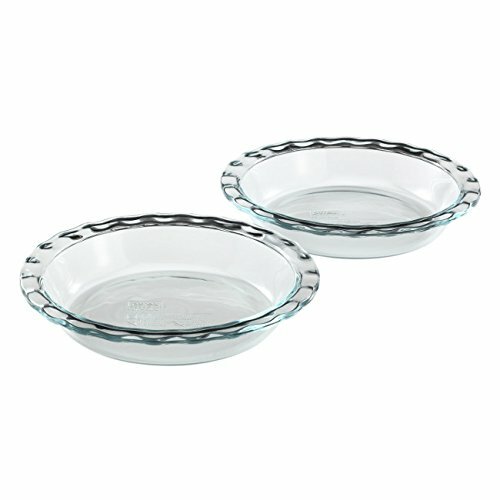 There are many options to deliberate between, from metal, loose-bottom pie dishes to solid glass dishes. We’ve researched the net’s repertoire of dishes to find the best pan for flan. As you can see, we went for a glass pan for the first winner of our flan pan competition. During our research of many different flan recipes, we found the majority of them called for a glass baking dish. Pyrex is a well-known, trusted brand with absolutely stellar glass bakeware. 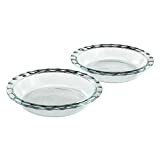 Their mixing bowls are second to none, and it seems this 2-pack of pie plates boasts the same great quality. Super affordable: even when these aren’t on special, they’re extremely affordable. You get two pie plates for a really low cost. 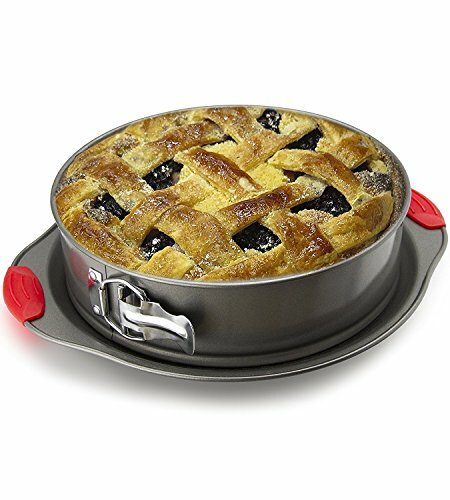 Easy to hold: the rim of these pie plates extends out horizontally, creating a ledge for you to grip easily when transporting from A to B. This means you have far more control over the dish and will be less likely to spill or drop the flan. Great shape: these pie plates have a classic pie shape, complete with the crimped sides. They’re great for a classic round, slightly shallower flan and work just as well with pastry-based flan too. Comes with 2: it’s handy to have two of these stashed away, as sometimes an event calls for two flans which means you can have them both going at the same time. No need to make one, then wait for it to cool, then make the other. Et voila, two matching flans. “Everything-safe”: these pans are oven safe, dishwasher safe, microwave safe and freezer safe. You can store your flans in the freezer, reheat pies in the microwave…whatever you need to do. 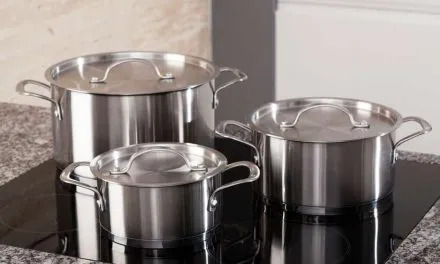 Easy to clean: because glass doesn’t mark, rust, or scratch, these pans can be soaked in warm water to soften any tough stains, then scrubbed hard to get sparkling clean. And of course, you can throw them in the dishwasher too. Stays fresh and clear: the glass used for these pans is “non-porous”. This means that there are no miniscule holes for smells and stains to seep into. The pans stay odor-free, clean and fresh forever. Boxiki is a homeware and lifestyle brand from Vancouver, Canada. They’re a high-quality company with a focus on user-friendly, well-researched products. We love the non-stick springform pan from their kitchen range, and it jumped out at us as a great flan pan. Some people prefer to make their flans in a more traditional cake pan, so we’ve answered the prayer with this beauty. Non-stick: this pan is made from steel with a non-stick exterior. While you should still always grease and line your flan and cake pans, non-stick is always helpful (especially if you forget to pre-grease). Easy to carry: it has two handles on opposite sides, each with a silicone cover to protect from heat and slipping. This is exactly what a round pan needs, as it’s a real mission to carefully carry a hot pan without anything to grip onto. I’m sure you’ve experienced the awkwardness of taking a hot cake pan out of the oven with two tea towels wrapped around the smooth slippery sides of the pan. This handy pan allows us to carry it steadily without burning ourselves or spilling raw flan batter. 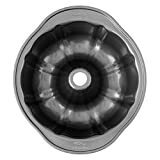 Easy to release: the beauty of a springform pan is that you can release your flan or cake without having to flip it upside down. As long as you thoroughly grease the sides and run a hot knife around the edge before you release it, you don’t have to risk a broken flan or upside down mess. Dishwasher friendly: you can pop all of the pieces into the dishwasher for an effortless clean-up. But since the exterior is non-stick, it’s super easy to hand wash too. Leak-proof: some springform pans can be a menace as they can leak uncooked batter, creating a burnt mess in the oven. But this particular pan has been designed to be absolutely water-tight and leakproof, so your flan batter stays put. Versatile: you can use this pan for flans, cakes, pies, quiches, you name it. It’s always good to go for a multitasking option when looking for cookware as it saves on space and saves money in the long run. Wilton (part of the gigantic Wilton Brands LLC) is a huge name in the bakeware market. They have a huge catalog of high-quality bakeware, including the tube pan we’ve chosen as our final flan pan winner. Many flan recipes recommend or suggest using a tube or bundt pan, and this one really fits the bill. Affordable: the price is great. It’ll set you back hardly anything, but you’re still getting a high-quality pan made from sturdy steel. Non-stick: the exterior is completely non-stick, making the release of your flan far easier. 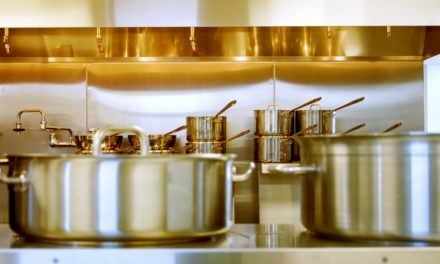 You should still always grease the pan just to be safe, but the non-stick exterior gives extra insurance. 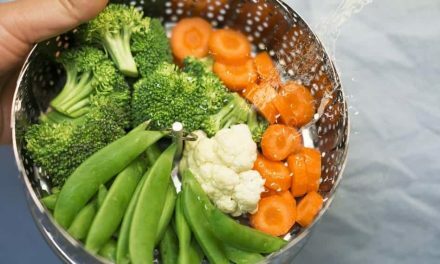 Dishwasher safe: this pan is completely safe for the dishwasher, reducing your hand washing load which is always appreciated. Easy to hold edges: along the outer edge of the pan, there are two opposing tabs (extended edges) designed for easy holding and transporting. Perfect for carrying wobbly, liquidy uncooked flan mixture to the oven. Cool pattern: while this isn’t necessary for the success of your flan, the pattern on the bottom of the pan makes things a little more interesting. It’s a gentle fluted shape which gives your flans and cakes a touch of creativity without having to put in any extra effort. Oven-safe: clearly, it has to be completely oven safe. While some flans are boiled in a water bath, most are cooked in the oven. 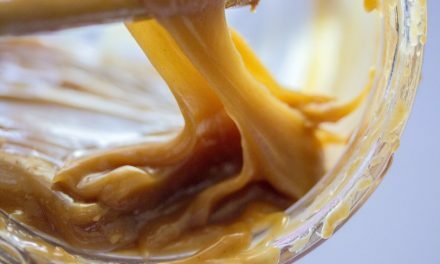 Easy to grab and hold steadily: raw flan mixture is rather thin and easy to spill, so you need a pan with some decent “tabs” on the sides. This also really helps when lifting hot pans out of the oven as you can get a good grip on the edges without getting thumbs in the food! Spill-proof: this feeds into the “easy to hold” point above, but it also applies to the construction of the pan. If using a springform pan, ensure it has been designed to be watertight and completely leak proof. A flan can be made in a range of pans, from glass pie plates, springform cake pans, patterned ring or bundt pans. They just need to tick a few boxes including a non-stick surface, easy-hold edges and leak-proof design. Our top three pans from Pyrex, Boxiki and Wilton tick all of these boxes while offering three different pan styles for your flan preferences.